A public good provided by private organisations? What kind of heaven is this? Hawker centres in Singapore run by not-for-profit social enterprises are getting massive bad press. Where did bad press come from? Foodie-critic-consultant KF Seetoh crystallised the argument against social enterprise hawker centres and highlighted their shortcomings in an Aug. 28 article, Not Social Enterprise Hawker Centres. Unless you’ve been living under a rock or on a social media fast, you would have heard all about the unhappiness social enterprise hawker centres have caused. Yes, I’m talking about the tray-return policy happening at Jurong West Hawker Centre, the Old Airport Road hawker debate and “unfair” contract terms plaguing hawkers. Here are 10 facts about the entire saga you need to know. 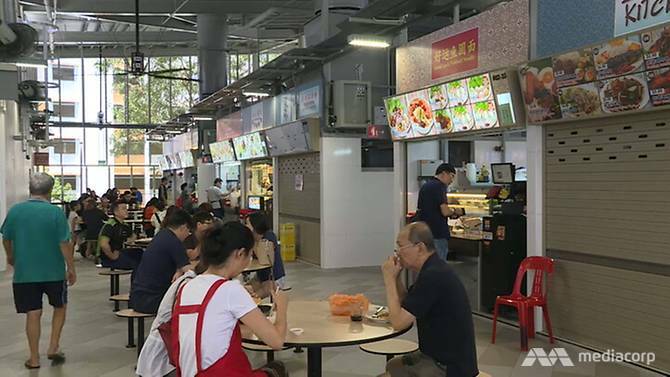 Why has there been a flurry of complaints over new social enterprise hawker centres? 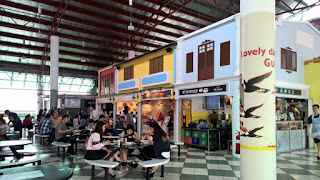 Hawker centres may be a feature of every heartland neighbourhood, having become part of many working Singaporeans' lifestyle. Yet the way they have been run since they were first built in the 1970s to resettle street hawkers has changed little over the years. That is until the emergence of the social-enterprise hawker centres, which were meant to herald a new way of operation - making them cleaner, more vibrant, & even helping young hawkers find a foothold. Given the “allegations of poor management practices as well as high rentals & auxiliary costs at social enterprise-run hawker centres”, this excellent piece of reporting gets to the crux of the fracas. There is poor & non-representative consultation when policy ideas are gathered & submitted to the Government. 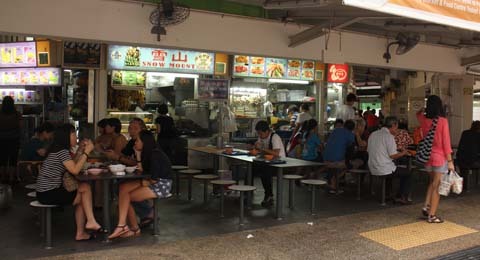 There is also fragmented or non-existent communication between hawkers and the operators of these social enterprise-run hawker centres, which means the hawkers have to rely on public or social media outrage for changes to be made — as seen by the issues that have surfaced & the developments that have unfolded in recent weeks. 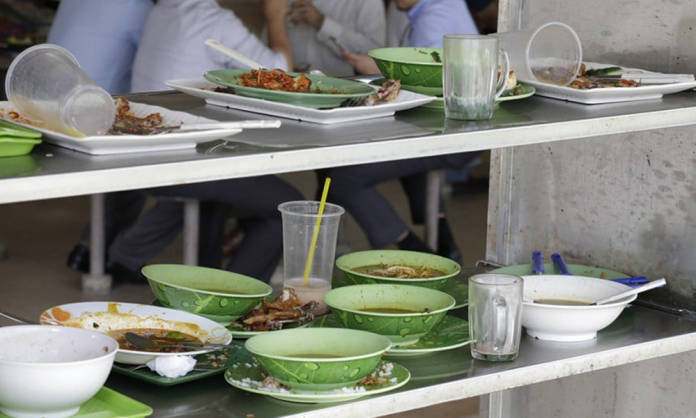 Hawker centres run by social enterprises have come under fire over a range of heavy-handed & prohibitive practices. These include the high rental charges & various fees that hawkers have to pay these operators. 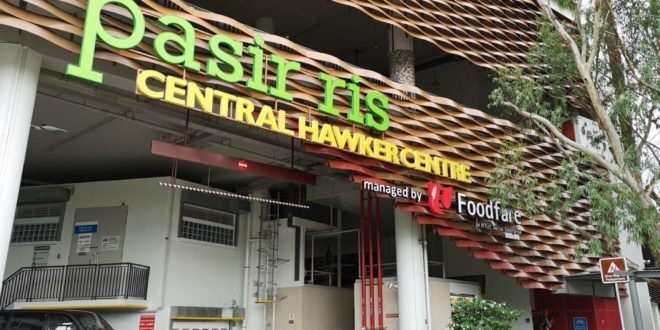 Calling on social enterprises to show how they plough back profits into helping hawkers, the chairperson of a panel set up years ago by the Government to advise it on hawker centres nevertheless defended the management model which has recently come under fire. Ms Elim Chew, 52, who chaired the 2011 Hawker Centre Public Consultation Panel which proposed the social enterprise model, said it was well-intended but needs to be adjusted. In a ST report today ('Hawker debate: Figuring out a way forward', 4 Nov), Minister for the Environment and Water Resources Masagos Zulkifli told SPH reporters that the key objective for creating hawker centres is to "ensure that the food remains affordable and accessible for Singaporeans." "There is no magic bullet for this issue ... We must not forget the original objective of building these new hawker centres," he said. He felt that the idea of letting "social enterprises" run hawker centres is sound. "The (social enterprise) model is generally sound, we have successfully attained the two objectives above, and we should not undo these achievements." However, he does acknowledge the recent concerns raised by hawkers over the way hawker centres are managed by social enterprises. 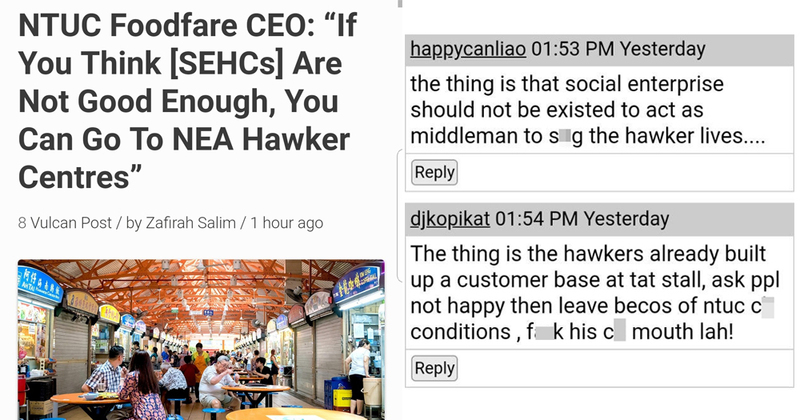 A Facebook post by a former academic that has gone viral lambasted Mountbatten Member of Parliament (MP) Lim Biow Chuan's justification regarding the operating hours of stalls in social enterprise hawker centres (SEHCs), with the MP stating that it is "incorrect" to suggest that "hawkers had to work super long hours." 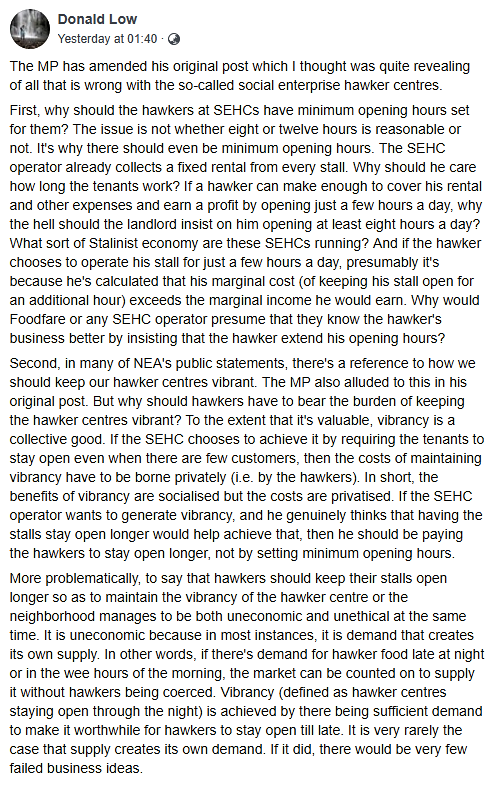 Donald Low, in his Facebook post on Wednesday (24 Oct), argued that the real question should not be about the amount of hours a stall is required to operate per se, but rather whether "there should even be [any] minimum opening hours" in the first place," as operators of social enterprise hawker centres are guaranteed "a fixed rental from every stall." MP Lim's statement was a response to Gary Ho's revelation regarding the exploitative terms stipulated in the contract that stallowners are made to sign – and in certain cases – even without a translator to adequately explain the intricacies and the full implications of the contract. 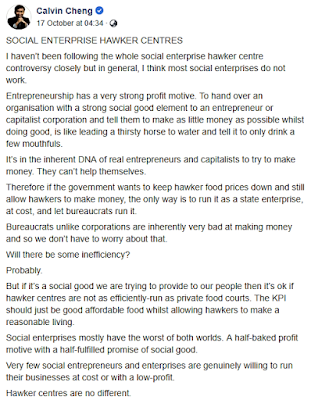 The MP has amended his original post which I thought was quite revealing of all that is wrong with the so-called social enterprise hawker centres. First, why should the hawkers at SEHCs have minimum opening hours set for them? The issue is not whether eight or twelve hours is reasonable or not. It's why there should even be minimum opening hours. The SEHC operator already collects a fixed rental from every stall. Why should he care how long the tenants work? If a hawker can make enough to cover his rental and other expenses and earn a profit by opening just a few hours a day, why the hell should the landlord insist on him opening at least eight hours a day? What sort of Stalinist economy are these SEHCs running? And if the hawker chooses to operate his stall for just a few hours a day, presumably it's because he's calculated that his marginal cost (of keeping his stall open for an additional hour) exceeds the marginal income he would earn. 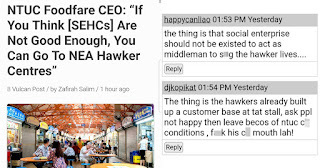 Why would Foodfare or any SEHC operator presume that they know the hawker's business better by insisting that the hawker extend his opening hours? Second, in many of NEA's public statements, there's a reference to how we should keep our hawker centres vibrant. The MP also alluded to this in his original post. 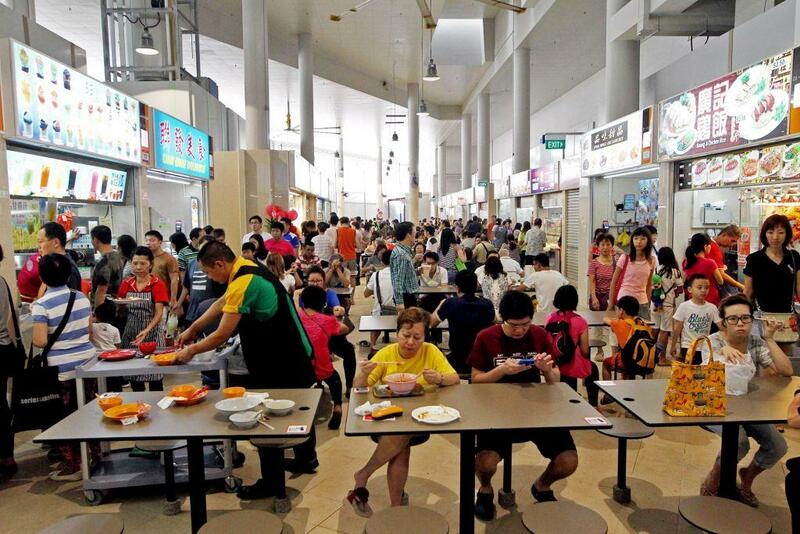 But why should hawkers have to bear the burden of keeping the hawker centres vibrant? To the extent that it's valuable, vibrancy is a collective good. If the SEHC chooses to achieve it by requiring the tenants to stay open even when there are few customers, then the costs of maintaining vibrancy have to be borne privately (i.e. by the hawkers). In short, the benefits of vibrancy are socialised but the costs are privatised. 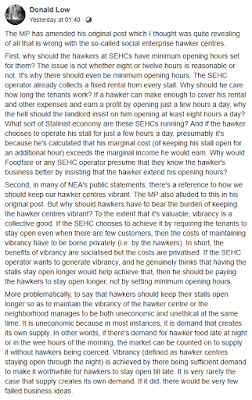 If the SEHC operator wants to generate vibrancy, and he genuinely thinks that having the stalls stay open longer would help achieve that, then he should be paying the hawkers to stay open longer, not by setting minimum opening hours. On reflection, I didn't make this post clear. 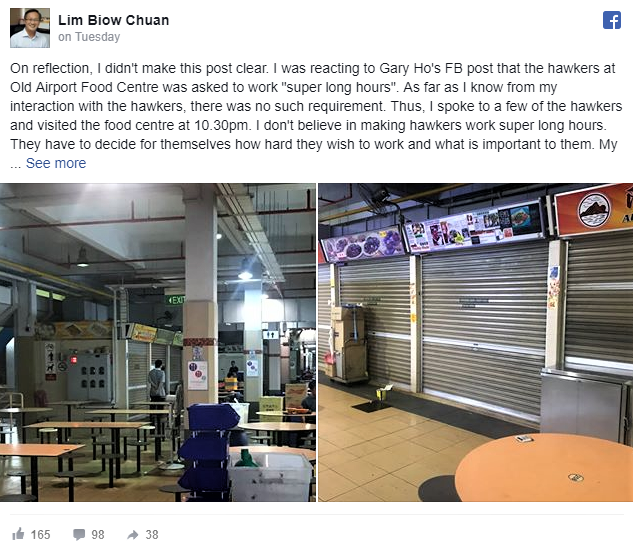 I was reacting to Gary Ho's FB post that the hawkers at Old Airport Food Centre was asked to work "super long hours". As far as I know from my interaction with the hawkers, there was no such requirement. Thus, I spoke to a few of the hawkers and visited the food centre at 10.30pm. I don't believe in making hawkers work super long hours. They have to decide for themselves how hard they wish to work and what is important to them. My parents were hawkers and I know how hard they work. My main point was that Gary's post that the hawkers had to work super long hours was incorrect. Hence my post - "It was 10.30pm in the evening. I had just finished my MPS and wanted to see what food stalls are still opened at the Old Airport Food centre. Many of the stalls are already closed. One of the stalls had a sign that said that operating hours are from 8am to 7pm. I also spoke to 4 stall operators earlier in the evening and they all said that there was no condition imposed by Foodfare that they must stay open for super long hours. Nor was there any rule that they need to report their movement or face punishment!! What punishment, they asked?? What Foodfare wanted to do was to manage the food centre such that it will not become a empty food centre in the evening. Just visit some of the other empty food centres at night and you will understand their concerns." Member of Parliament (MP) for Mountbatten Single-Member Constituency Lim Biow Chuan has responded to allegations about the hawkers of Old Airport Road Food Centre having to work “super long hours”. He said that he visited the food centre at night and expressed disappointment at the netizen who made those allegations in the first place. However, Mr Lim did not respond to the netizen, Gary Ho’s post in its entirety, but just addressed one portion. Yesterday morning, netizen Gary Ho wrote a lengthy Facebook post detailing how the hawkers at Old Airport Road Food Centre “were all made to sign ridiculous legal documents in English without a translator informing them what they were signing” when NTUC Foodfare took over its management. He also alleged that some hawkers said “they were made to buy mandatory insurance of $100+ per annum which covers the public areas outside their stall” and questioned why this was necessary. On top of monthly cleaning costs that “rose to $500+ from $300+”, Gary Ho brought up the issue of how “the new contract they signed also mandates that they must stay open for super long hours”. 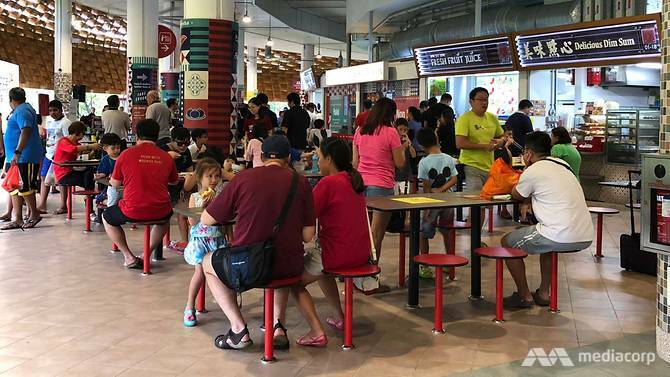 In yet another move to address hawker concerns on the way not-for-profit hawker centres are run, Dr Amy Khor said she has asked all social enterprise operators to form feedback groups in the centres they manage. “The operators will meet the hawkers’ feedback groups on a regular basis to discuss concerns & issues, so that these can be addressed quickly,” Dr Khor, who is Senior Minister of State for the Environment & Water Resources, posted on her Facebook page on Wednesday (Oct 24). The recent debate on the social enterprise management model for hawker centres is a healthy for Singapore’s bid to place its hawker culture on the UNESCO Representative List of the Intangible Cultural Heritage of Humanity, as it shows that the public cares about the survival of hawker culture. This is the view of the National Heritage Board (NHB), as it seeks to garner public support for the bid with the launch of Our SG Hawker Culture Exhibition at Tiong Bahru Hawker Centre on Thursday (25 October). 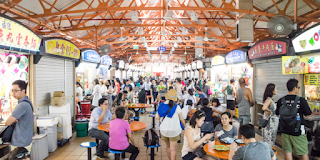 In recent weeks, there has been intense scrutiny placed on hawker centres managed by not-for-profit social enterprises, as news reports highlighted numerous problems faced by proprietors. The model of having social enterprises manage hawker centres on a not-for-profit basis was mooted with good intentions, but it will now have to be tweaked so that it benefits all parties involved, said local entrepreneur Elim Chew. In particular, the issue of higher rents & additional fees faced by hawkers at some of these social enterprise-run hawker centres will have to be looked into, she told reporters on Wednesday (Oct 24). Food guru and Makansutra founder K F Seetoh continued to shine the spotlight on how hawkers under contract to Social Enterprise Hawker Centres (SEHC) are unfairly penalised. Yesterday, Seetoh released several pages of the contract hawkers at SEHC had to sign. 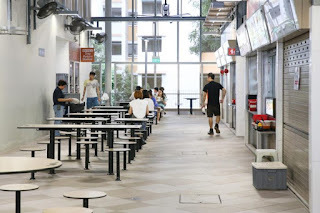 Koufu has reached out to this publication and clarified that the contract released by Seetoh yesterday referred to Tampines Hub Hawker Centre, and not Jurong West Hawker Centre. “They are supposed to be opened 24hrs a day with 2 off days. 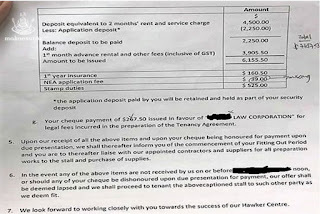 And a $250 fine for each other day they close if they did not give a week’s notice which is approved by the managing agent. Imagine if they, or their child or parents have some medical or family emergency. The managing agent can up the penalty to $500 a day if they see fit." Come on – it’s ok to do so like they all do in private enterprise food courts or halls. Charge as much as you want and pay as much as you dare. Its market forces at play, willing buyer and seller deals- but not in a public funded and owned SEHC or hawker centre please. You have the obligations to protect the common citizen’s economic meal and not raise unnecessary cost for hawkers and customers. 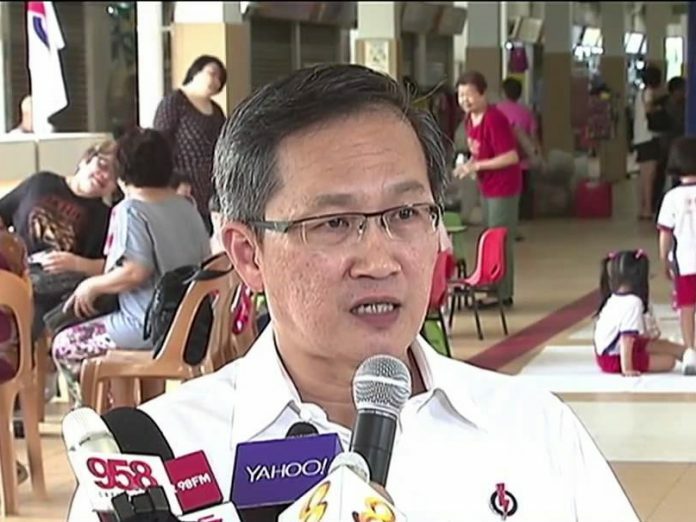 Ruling party politician Lim Biow Chuan’s response to reports that hawkers at the famous Old Airport Road hawker centre are forced to work “super long hours,” under their new contract with the NTUC Foodfare management, has rubbed many netizens the wrong way. Lim had been responding to a regular patron, Gary Ho’s allegations that the hawkers at Old Airport Road hawker centre were made to sign “ridiculous legal documents” when NTUC Foodfare took over the hawker centre from Government stat board, the National Environment Agency (NEA), two years ago. 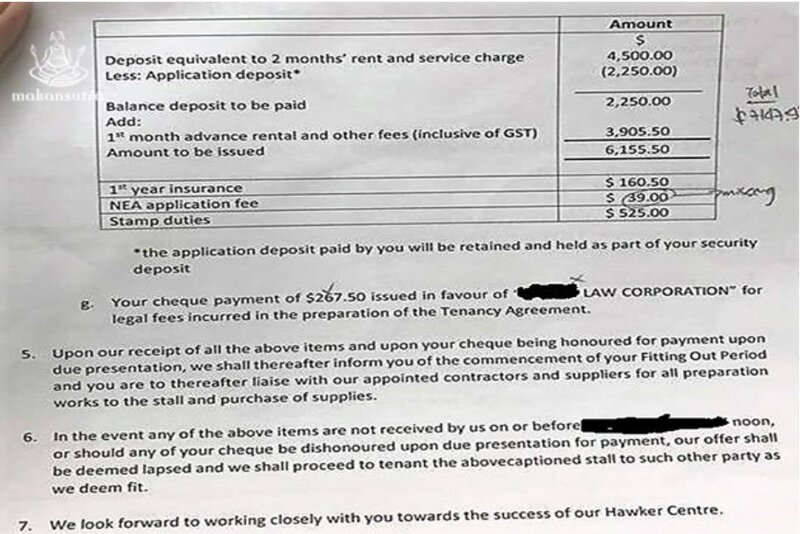 According to Ho, the new contract that hawkers signed after the NTUC takeover “mandates that they must stay open for super long hours.” Besides seeing their cleaning costs rise from over $300 to over $500, hawkers were apparently made to buy mandatory insurance that “covers the public areas outside their stall” and forced to report their movements to the management or risk penalties. Finally, our leaders are recognising how great a cultural icon the hawker centres are, not just as a building or the food served, but of the culture and heritage it represents. It resonates across folks of all creed, standing, race, religion and colour. 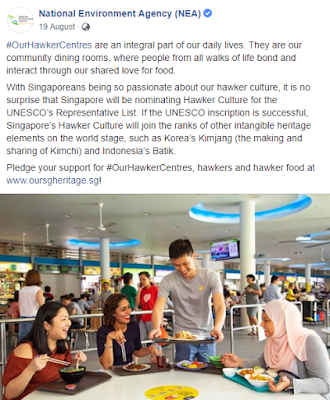 Even our PM, who now wants our Hawker Centre food culture to be enshrined as a Unesco Intangible Heritage and Culture icon, lines up for this makan at a hawker centre with his wife. And he spoke also about the humble intents of the new Social Enterprise Hawker Centres (10 to be built) and how it will bond Singaporeans even more. But before we move any further ahead, I have to flag some concerns about how it’s run and what they mean by Social Enterprise. At best, the term social enterprise is murky. Check Wikipedia and you will know what I mean. The best version I came across is “A social enterprise is a cause-driven business, whose primary reason for being is to improve social objectives and serve the common good.” And in that sense, our Social Enterprise Hawkers Centres, are not, in many ways. I had the sad eye opening chance to glance at the contract agreements of some new hawkers which have been installed at our new Social Enterprise Hawker Centres (SEHC). 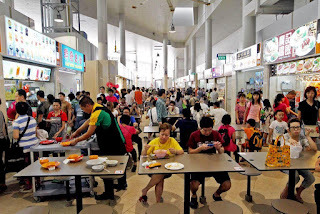 I heard whispers and murmurs in the market regarding the operational practices of some private companies, registered as a social enterprise organisation, running the newly government built hawker centres like commercial food courts. Up to 10 are planned for since 2011. In that year, the government formed a Panel to address the concerns of the community regarding the future and continuity of hawker centres, as it serves a big part of our lifestyle and “to continue the provision of affordable food” for the less privilege and poorer folks in our midst. Very noble indeed and I was looking forward to see how this will play into our future and craft new, proud and interesting narratives in my musings on this development. #OurHawkerCentres are an integral part of our daily lives. They are our community dining rooms, where people from all walks of life bond and interact through our shared love for food. 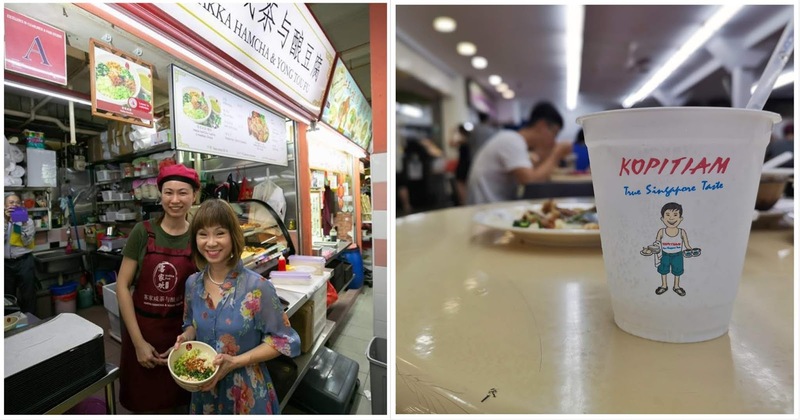 With Singaporeans being so passionate about our hawker culture, it is no surprise that Singapore will be nominating Hawker Culture for the UNESCO’s Representative List. If the UNESCO inscription is successful, Singapore’s Hawker Culture will join the ranks of other intangible heritage elements on the world stage, such as Korea’s Kimjang (the making and sharing of Kimchi) and Indonesia’s Batik. 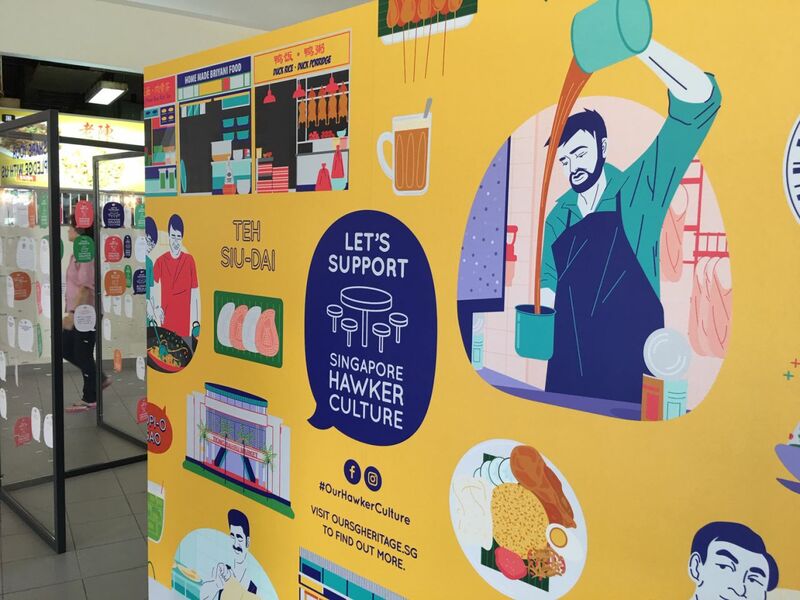 Pledge your support for #OurHawkerCentres, hawkers and hawker food at www.oursgheritage.sg! As much as local food authority KF Seetoh appreciates the government’s recent efforts to enshrine hawker culture on the world stage, the outspoken founder of Singapore food bible Makansutra is taking issue with how Social Enterprise Hawker Centres (SEHCs) are being run. These newer hawker centers are different from standard open-air food complexes in Singapore; SEHCs are run by social enterprises with the purpose to keep dishes affordable. These social enterprises — such as NTUC Foodfare — will help hawkers to allay costs by purchasing basic items such as rice, eggs, and cooking oil in bulk. 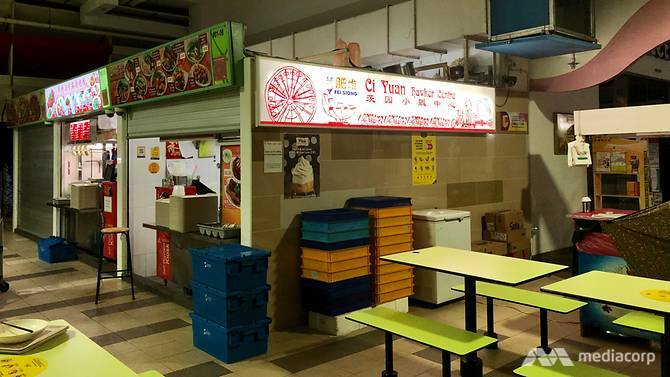 Tenants at such hawker centers could also be paying subsidized monthly rents. But Seetoh believes that hawkers at SEHCs are currently at the losing end, thanks to some questionable operational practices that he found out. 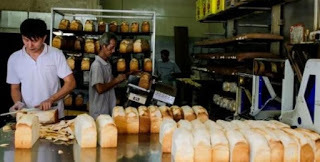 According to a post made on Tuesday on the Makansutra website, he heard rumours that some private companies — which registered themselves as social enterprise organizations — are running SEHCs like commercial food courts. Food costs are going up — according to the Department of Statistics, food prices have risen 2.2 per cent a year since September 2015. This would inevitably affect the price of hawker food, which most Singaporeans enjoy. 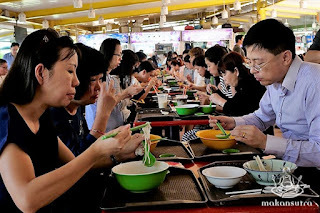 According to a 2014 report on food trends by public relations firm Weber Shandwick, four in five of more than 750 Singaporean adults interviewed said they eat at hawker centres when not dining at home. 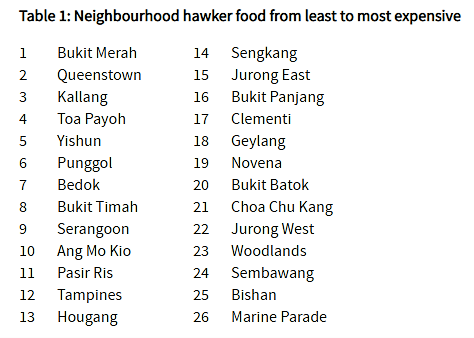 To study the differences in the cost of dining out across neighbourhoods, the IPS Social Lab conducted a survey of hawker food prices across the island. 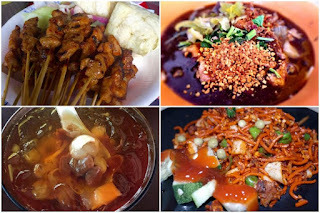 In July 2016, we recorded the cost of a selected menu of seven hawker food items (chicken rice, chicken biryani, nasi goreng, rice with two vegetable dishes and one meat option, rice with one vegetable dish and two meat options, iced milo and black coffee with sugar) in over 80 locations across 26 neighbourhoods) from Pasir Ris to Jurong West. We then averaged the cost of each item for each neighbourhood and summed them up to achieve a total price index for hawker food. 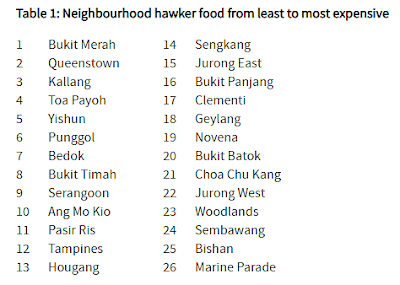 In some districts, such as Tanglin and Orchard, insufficient data points, or scarcity of hawker centres, meant that we had to exclude them from the rankings. This was the list we came up with (Table 1), with 1 being the least expensive, and 26 being the most expensive. Visited young hawker Michelle Yee at her stall at Chinatown Complex Food Centre yesterday. She is one of the participants of National Environment Agency (NEA)’s Incubation Stall Programme and sells Hakka lei cha and yong tau fu. The Incubation Stall Programme is one of the ways in which we are supporting aspiring hawkers and sustaining the hawker trade. Was very happy to see that she is doing well, with a queue forming at lunch time! I hope that her experience will encourage others to join the trade. 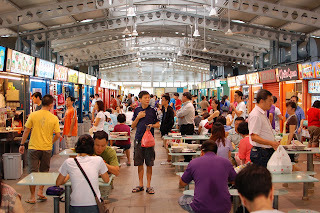 There has been a lot of discussion on our social enterprise hawker centres lately. We have 114 hawker centres, of which 7 new centres are run by social enterprises. The passionate views shared by many show the important place our hawker culture has in the hearts of Singaporeans. Such conversations are important, and we welcome the feedback so that we can continue to do better. One of our concerns with the hawker trade is that the median age of hawkers in our hawker centres is now 60. At the same time, we have started building new hawker centres to ensure residents have access to affordable food. Having social enterprises run 7 of our new hawker centres is one of the ways we are trying, to address the many challenges of the hawker trade such as renewal and manpower constraints, and at the same time meet the evolving dining needs of residents. 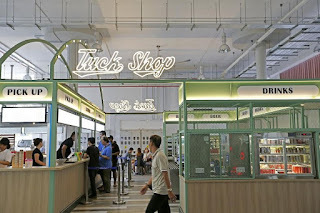 Some flexibility is given to these enterprises to try out different ideas and innovative practices, to bring about vibrancy in our hawker centre scene, and benefit both patrons and hawkers. 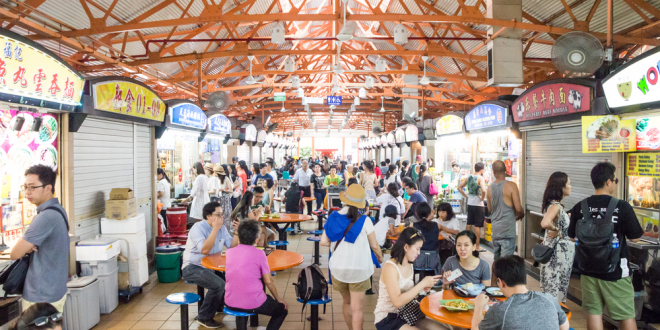 There has been quite a bit of discussion on social enterprise hawker centres for quite a while. But loads of people have weighed in recently. With fine-tuning being carried out as we speak. For example, the much talked-about 20 cent tray return fee was recently about. Now, Senior Minister of State for the Environment & Water Resources Amy Khor weighed in again on the issue in a Facebook post on Friday, October 19. Khor acknowledged the very strong public reaction regarding the social enterprise hawker centres. “There has been a lot of discussion on our Social Enterprise Hawker Centres lately. 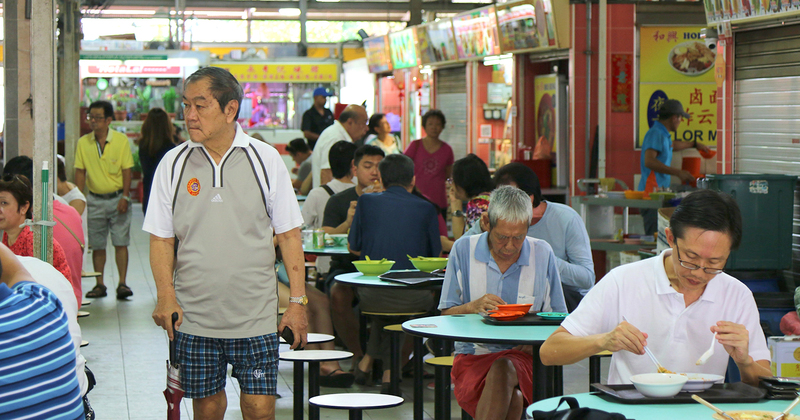 We have 114 hawker centres, of which 7 new centres are run by social enterprises. The passionate views shared by many show the important place our hawker culture has in the hearts of Singaporeans. Such conversations are important, and we welcome the feedback so that we can continue to do better." 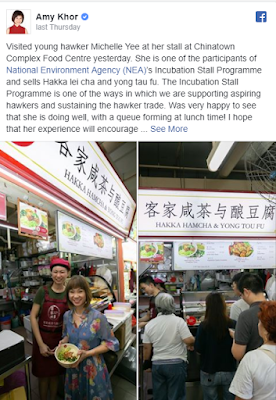 The National Environment Agency (NEA) is working closely with hawker centre operators & their tenants to address issues concerning cost and contractual terms, said Senior Minister of State for Environment & Water Resources Amy Khor on Friday (Oct 19). 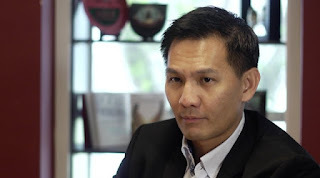 "I have asked NEA to quickly iron out the problems and to do a stock-take of the social enterprise model," Dr Khor said in a Facebook post. Her comments come amid concerns hawkers have raised about the social enterprise management model, which was introduced with the aim of keeping food prices low while making the hawker trade sustainable. With barrage of letters and online complaints against "social enterprises" running publicly-funded hawker centres, Director of NEA's Hawker Centres Division, Ivy Ong, personally wrote to ST Forum today (22 Oct) in her attempt to calm public's nerve. She wrote to say that she agreed with several ST Forum writers that hawker centres are to "provide affordable food and a means to make a decent livelihood for hawkers". She said that extensive consultations were carried out with a wide range of stakeholders before the "social enterprise" model was introduced to run hawker centres. She said, "The Hawker Centres Public Consultation Panel recommended that new hawker centres operate on a not-for-profit basis by social enterprises or cooperatives." In recent years, there has been increased public discussion on the cost of living, of which food costs are a major part. In view of this, the Government announced in October 2011 that about 10 new hawker centres will be built in the next 10 years to increase the provision of affordable food. This increase would have a dampening effect on curbing future increases in food cost. The Public Consultation Panel on Hawker Centres was formed in November 2011 to provide ideas on the new hawker centres and comprises 18 representatives from different social enterprises and industries. The Panel welcomes the government’s decision to build new hawker centres and undertake a review of existing policies to ensure the new generation of hawker centres continue to meet the needs of the residents – primarily to ensure food prices remain affordable. The panel’s recommendations cover three key areas, namely, Management Model, Design, and Vibrancy and Social Graciousness. I haven’t been following the whole social enterprise hawker centre controversy closely but in general, I think most social enterprises do not work. Entrepreneurship has a very strong profit motive. To hand over an organisation with a strong social good element to an entrepreneur or capitalist corporation and tell them to make as little money as possible whilst doing good, is like leading a thirsty horse to water and tell it to only drink a few mouthfuls. It’s in the inherent DNA of real entrepreneurs and capitalists to try to make money. They can’t help themselves. Therefore if the government wants to keep hawker food prices down and still allow hawkers to make money, the only way is to run it as a state enterprise, at cost, and let bureaucrats run it. No one in Singapore really knows what a “social enterprise” does. If you’d told me a social enterprise was a non-profit, charity, or any synonym of ‘initiative’, I’d have gamely nodded along. And while most people vaguely know (or assume) that social enterprises ‘do good’, social enterprises have always been the quiet cousin of larger, capitalist corporations. Social enterprises appear content with existing in the shadow of the latter, as long as they are able to make some kind of ‘social impact’. Unfortunately, we also almost automatically associate ‘social impact’ with forgoing profit. As a result, few people have been inclined to give social entrepreneurs the time of day—until now. 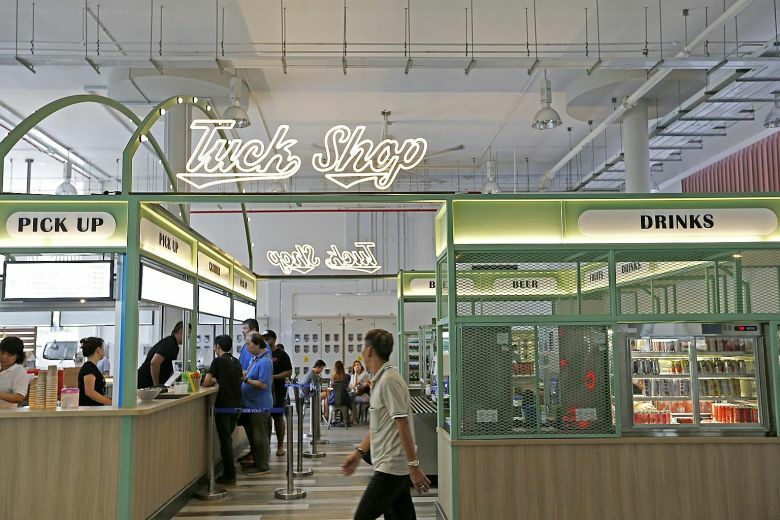 Since the NTUC social enterprise hawker centre debacle unwittingly thrust them into the limelight, social enterprises finally have the nation’s attention. So consider this a primer to why we should start taking social enterprises seriously. 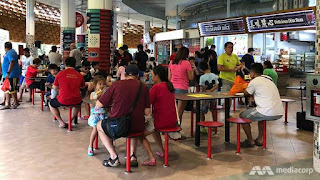 The National Environment Agency (NEA) said yesterday (20 Dec) that NTUC Foodfare will run seven more hawker centres, after its successful pilot managing the Bedok Interchange Hawker Centre since 2014. NEA has been exploring alternative management models for hawker centres by engaging "socially conscious" operators to improve operational efficiency while ensuring affordable food. The move to add centres follows positive feedback from stallholders in Bedok on Foodfare's management approach, said NEA. The additional centres will offer NTUC Foodfare economies of scale and greater flexibility to experiment with new ideas and operational processes, added NEA. 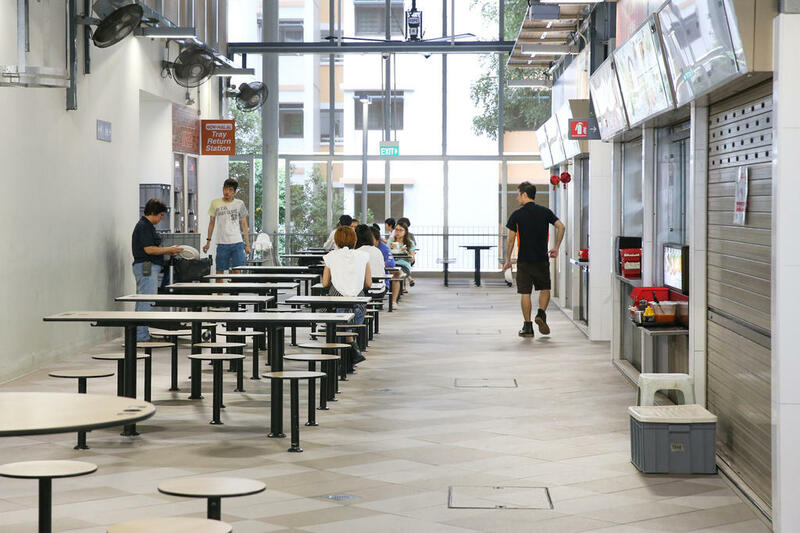 It also called for socially conscious operators to tender for the management of two new hawker centres in Yishun and Jurong West on a not-for-profit basis. They are expected to open in August and September respectively. In a bid to keep prices low, NTUC Foodfare currently sets the ceiling for some basic dishes at its Bukit Panjang centre, and monitors price rises of these at the Bedok centre. Our Hawker Culture is an integral part of Singaporeans’ way of life, where people from all walks of life gather at hawker centres to dine and bond over their favourite hawker food, which are prepared by hawkers. 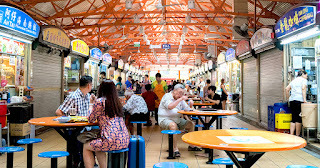 Over the years, this unique combination of food, space and community has evolved into a microcosm of Singapore’s multicultural society, with stalls selling Chinese, Malay, Indian and many other diverse types of dishes. Many of these hawker dishes originated from the food cultures of different immigrant groups who settled in Singapore. Over time, they have evolved to become the distinctive local dishes that we love, and form an important part of our food heritage. Our hawkers, comprising individual of all races, gender and age, and their repertoire of skills are central to our hawker centres. 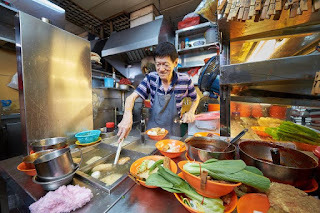 Well regarded for their mastery of the hawker culinary traditions, it is important that our hawkers’ knowledge, culinary skills and values are passed on through the generations. 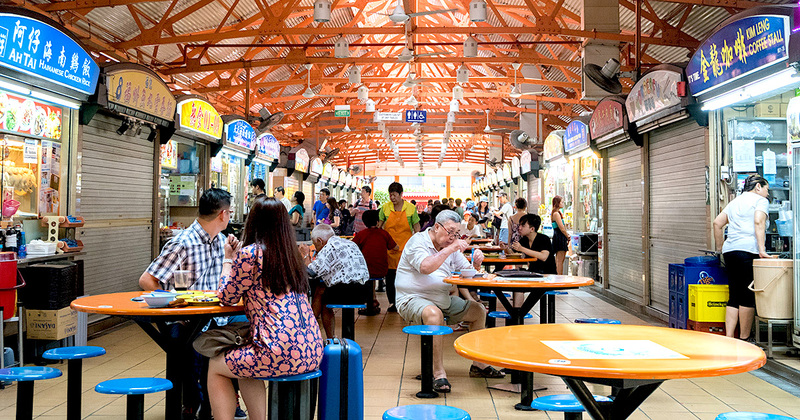 Today, hawker centres are an integral part of Singaporeans’ way of life. They are spread across our island and serve as “community dining rooms”, where friends and families gather, interact and bond over their shared love for food. They also serve as vibrant communal spaces that promote social cohesion, moderate the cost of living and foster a common national identity based on shared experiences, values, and norms. Hawker centres are an integral part of Singaporean culture. Located across the island, they offer convenience, good food at affordable prices, and serve as important places for community bonding. 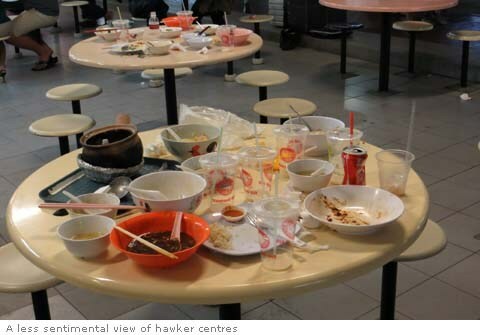 There are more than 100 hawker centres in Singapore, most of which are run by the National Environment Agency (NEA). Despite their popularity among locals and tourists, many hawkers, especially the younger generation, find themselves struggling to make ends meet due to rising business costs. Those who spoke to PropertyGuru said higher rent is just one problem, as they now also pay more for ingredients, manpower and utilities. “It is one big headache,” said hawker Samuel Gan. The 23-year-old helps run a family business called Daddy’s Boneless Chicken Rice at Upper Boon Keng Road. He charges $2.50 for a standard plate of chicken rice, but his rent amounts to about $2,100 per month, which is the price he bid for the stall during the NEA’s tender exercise, a standard practice hawkers must go through before they can run a stall. While he feels this is expensive, he believes a lower bid wouldn’t have been enough to secure the stall. Meanwhile, his manpower costs are close to $2,000 a month. “We only have one worker at the moment as we cannot afford an extra pair of hands right now,” said Gan. Who wants to be a hawker? 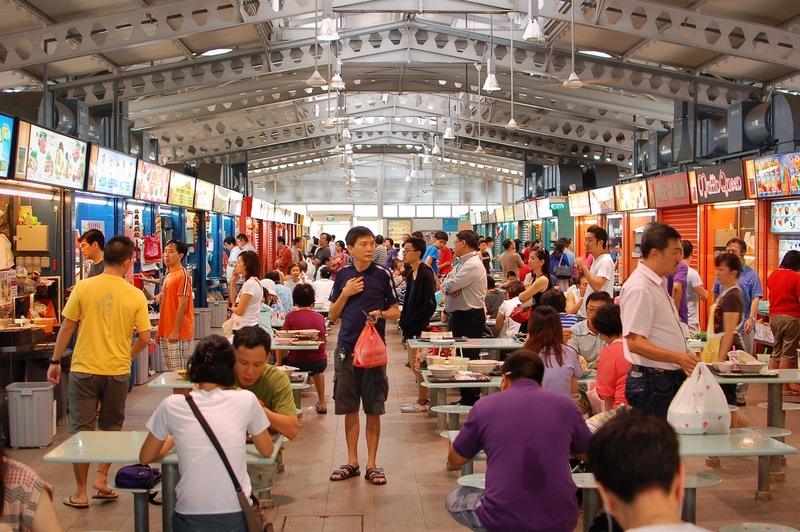 Earlier this year, the future of hawker centres was in the news. The chief concern was the sustainability of the institution (if one can call it that), but much of the discussion centred around how to keep food cheap. A side issue was the declining quality, for which a ‘Hawker Academy’ idea was floated. It struck me even then that insufficient attention was being paid to a much more fundamental question: where are hawkers going to come from in the years ahead? All the talk about pricing and training will be meaningless if not enough people want to be hawkers. At a recent closed-door seminar, a paper was presented on hawker centres. Much of it focussed on its iconic value to Singapore, delivered with a good dollop of nostalgia, complete with scratchy old photos. But at several points, the unanswered question recurred to me: who wants to be a hawker? The original hawker — you can see photos at this blog — was someone who pounded the streets with a pole on his shoulder, cooking pot and ingredients at either end of the pole. He mostly served menial workmen and labourers who needed a quick meal, e.g. a simple bowl of noodles, while squatting by the roadside. A few decades later, the poles gave way to wheeled carts, and some enterprising ones even offered stools for their customers to sit on. New may be better and faster, but old will always be gold. Machines and factories have taken over much of the F&B industry, but there's a remnant of Singaporean restauranteurs that still take pride in the painstaking processes and long hours of crafting traditional eats. Our food heritage takes the spotlight as the Singapore Food Festival 2016 comes round again. Themed Savour the Past, Taste the Future, it offers a series of events to celebrate our culinary culture, such as the Heritage Town Trail, which highlights Singapore’s Peranakan culture with a walking trail around Joo Chiat, Singapore’s first Heritage Town. In the spirit of looking at old stuff and traditions, here are 11 surviving vestiges of SG's food heritage to support before they die out. 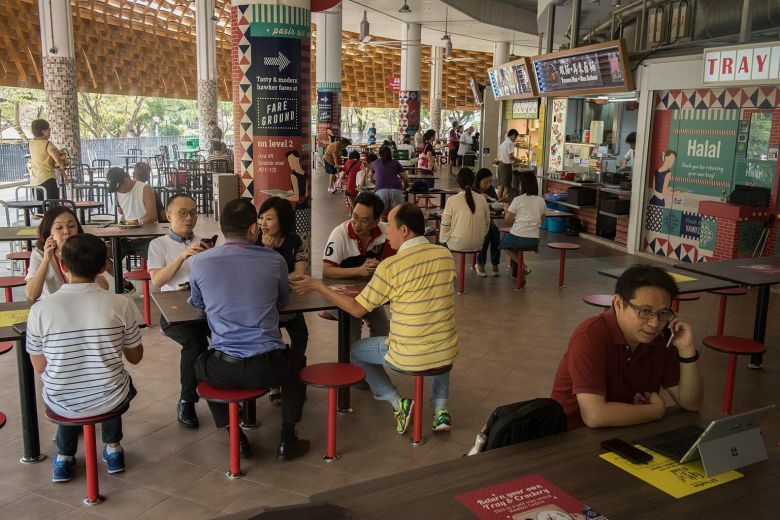 Does it pay to have 24-hour hawker centres? What financial model is 'social enterprise' hawker centre following?